There was a real buzz on Saturday 21st October at the Herbert Art Gallery and Museum. We had been invited by the venue to help celebrate the 'Crafts of the Punjab' exhibition. The day was so busy and full of joy and fun! We felt like we didn't stop! 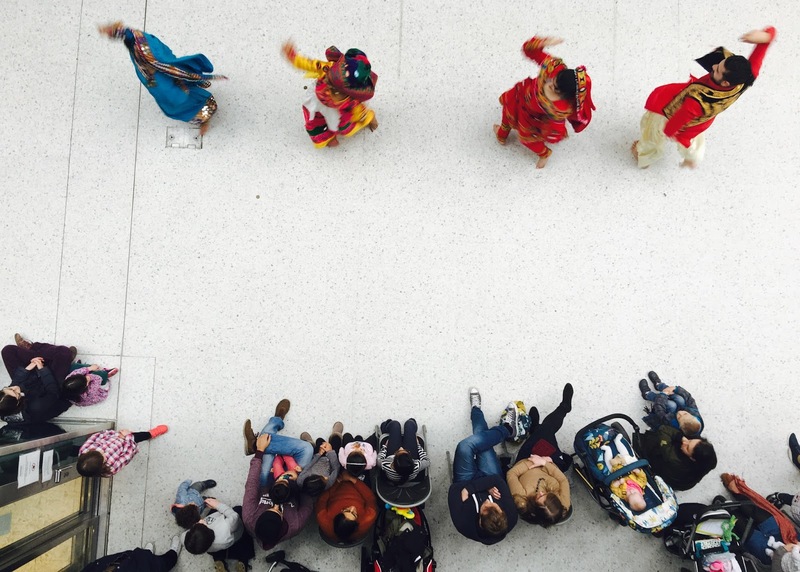 There was Punjabi dance and music performances, Rangoli art workshops, storytellers, and so much more! And on top of that, the participants that took part in the activities were really engaged in what they were doing, and the audiences were totally mesmerised by the performances! It was great to see so much enthusiasm! Thank you to the Herbert Art Gallery and Museum! 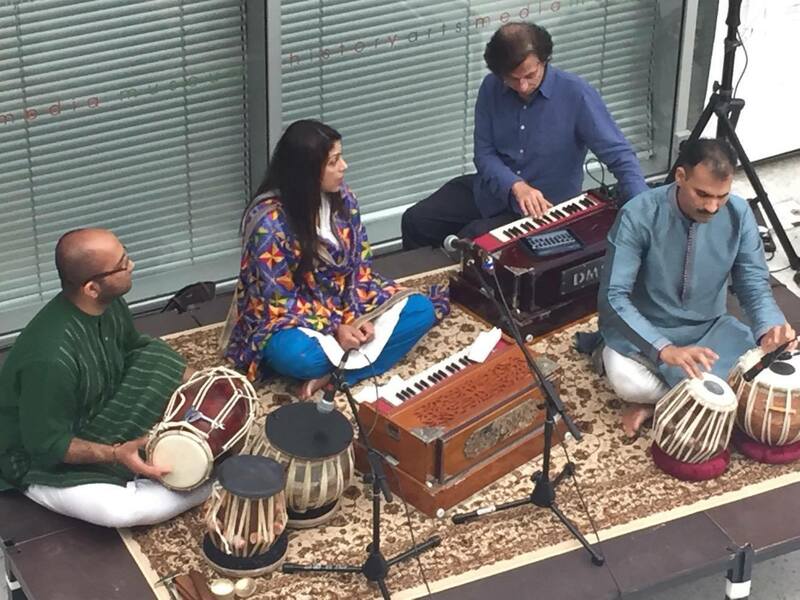 LOK VIRSA: BEYOND BORDERS, IS BACK! 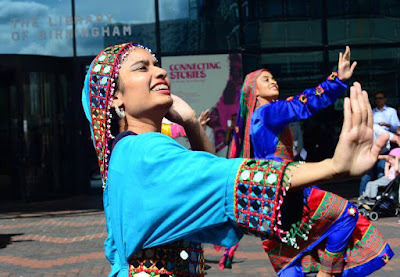 I remember the first time I ever saw ‘Lok Virsa’ and became involved in some way with the project was in April 2012 as part of the Alchemy Festival, Southbank Centre. ‘Lok Virsa’ means the ‘heritage of the people.’ It is this wonderful simplicity that Sonia Sabri Company celebrates by focussing on the beautiful arts and crafts of the Indian subcontinent. India and Pakistan share a rich heritage in their customs and traditions, which unites the people of these places, despite political differences. It is this heritage that has transmitted itself to different parts of the world and is now being shared right here in the UK. The main things that I recollect from the ‘Lok Virsa’ day in 2012 were the vibrant colours of the costumes, the beautiful sounds of the folk songs, the simplicity of the folk dances, the buzz of the audiences, the chitter chatter of workshop participants and the interaction of spectators as they watched the performances. It was a truly amazing and joyful day! Five years on and ‘Lok Virsa’ still remains to intrigue audiences all over the UK and you’ll be pleased to know that the festival will next be seen at Swindon Dance, 5th Nov, 12pm-5pm.